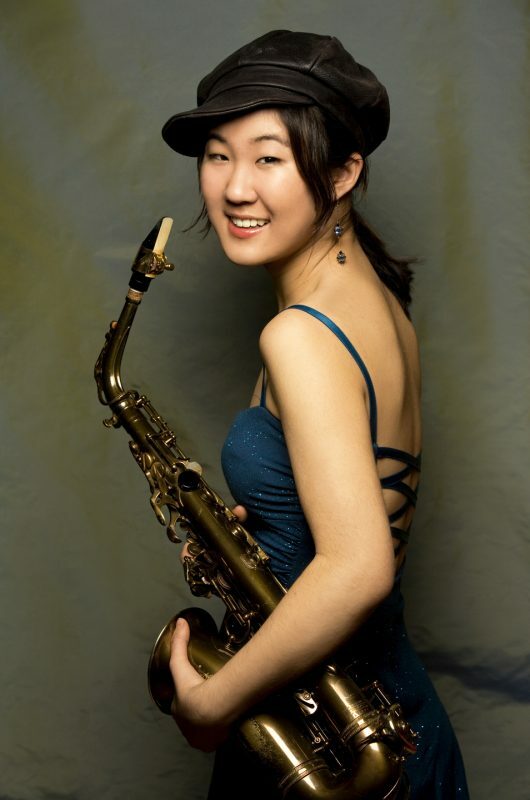 When she first came to the attention of the jazz community several years ago, the Korean-American alto saxophonist, composer and vocalist Grace Kelly-not to be confused with the late actress and princess-was still in her early teens. When she performed in June of last year at the Deer Head Inn in Delaware Water Gap, Pa., she had only just turned 18 but had already come into her own as one of the music’s bright young stars. 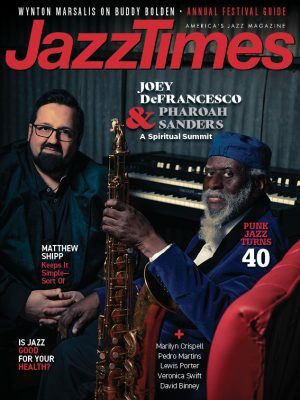 With several albums to her credit, including (separate) duo projects with fellow alto saxophonists Lee Konitz and Phil Woods, it would be no stretch to say that Kelly is going places. But the truth is that she’s already there. A smallish and comfortable restaurant and club set on a winding residential street, the Deer Head Inn has been booking live jazz since around 1950. Kelly took the stage accompanied by a combo consisting of drums, acoustic bass and electric guitar, and the quartet swung into their first number. The focus never strayed from Kelly, who was clearly in charge and was obviously enjoying herself. She told the audience that she had a recording session with Woods scheduled for the following day, a session that became the acclaimed Man with the Hat CD. Even with such an important date only hours away, it was clear that she was not saving herself-Kelly played hard all night. The pairing of Kelly and Woods made sense. 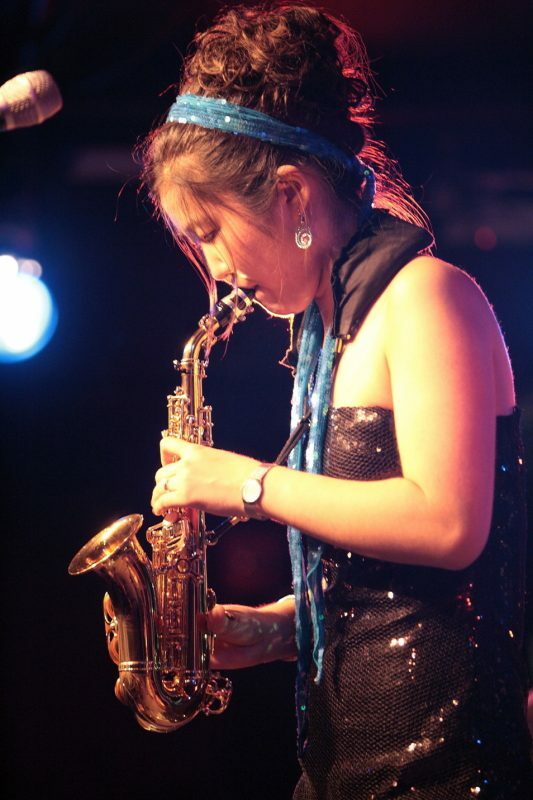 Kelly comes from Woods’ post-hard bop school-in both sound and selections-but she is not a slave to the past. During the two long sets, she played several tunes that she had written. They were all good, really good, and did not sound derivative of her heroes. She occasionally sang, but it was the sax playing that is her great strength. A man came in shortly before the music started and took a seat at the bar. The band all clearly deferred to him at the set break. In the dim light, I thought at first that maybe it was Phil Woods, but no. Still, he seemed familiar. The protective tarp was removed from the baby grand piano, and early in the second set Kelly introduced this guest to the bandstand, Monty Alexander. The Jamaican pianist performed several numbers with the group, giving beautiful texture and voicings to an already accomplished quartet. Nice feel throughout, and Alexander clearly considered Kelly a worthy colleague. The audience was respectful and quiet throughout. Late in the evening a woman called out a request for a specific ballad. Kelly was surprised: “How do you know that tune?” she asked. The woman told her that she owned all of her CDs and was a big fan. Kelly first begged off. “Gee, that’s from an early CD and this band doesn’t know that one.” Then she clearly thought, what the hell. She found the lead sheet in the guitarist’s book and taught it to the group on the spot. You would never have known it was their first time through the number as an ensemble, and it had some odd time changes to it. A trouper of a performer, Kelly was willing to take musical risks in public for an attentive and appreciative audience. Of the evening’s backing trio, Bill Goodwin (drums) and Evan Gregor (bass) would also appear on Man with the Hat. Alexander too was present for every track on the CD save one bass and alto duet. The evening’s guitarist, Matt Stevens, is not on the CD, but he was working hard at the live date, sounding fine throughout. Stevens seemed the most nervous of the players and was often hidden at the back of the small stage. Seen or not, handled his part with the professionalism of the guitar veterans he had obviously studied; he sounded like he had listened to a lot of Pat Martino. Stevens played an older hollow body, a Gibson ES 335, producing broad notes with that dark Kenny Burrell sound. As with all new bright lights in music, critics are divided about Grace Kelly. Most disturbing to me are those who want or expect her to be the savior of jazz. This is an unfair albatross to hang around any musician’s neck. Even if the person seems willing, such as Wynton Marsalis, it will usually lead to vicious backlash. And if the person seems uninterested in leading movements, a la Jaco Pastorius, a different sort of promise is dashed. This is vast over-simplification, of course. But my hope is that we can step back and allow Grace Kelly to develop her abilities as a musician without drowning her in a sea of unrealistic expectation. Enjoy her music and her attitude. Both are uplifting.